The Xperia Play is the first Playstation certified phone and is quite remarkable and entertaining. I'm fortunate enough to own one and prior to some revelatory news that I read today didn't think that I could afford to have another gaming device in my pocket. Well the upcoming Vita might change that idea. It seems that Sony Ericsson has fallen in bed with Google and Android with so many of their phones such as the superb xPeria Arc utilising what seems to be the os of choice at the moment, Android. But such is the romance between these two giants and such is the versatility of the Android os that it seems that the powerful, quad core Vita , due to be released sometime towards the end of the year, is supporting a version of Android. 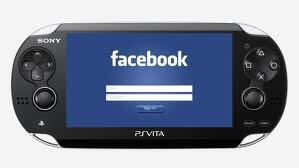 So with access to the Android market, a much larger screen than smartphones and an enormously powerful processor, the Vita might soon become the portable gamers' platform of choice.